Q. I am planning to buy RE 350 Classic, but my height is 5.6ft. I am really confuse it's comfortable for me? Q. My height is 5.7ft and I am suffering lightly knee pain. 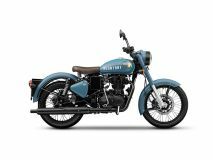 can I select Royal Enfield Classic 350?